Indie Retro News: Jetpac Wars Preview V3 - WIP 2 player C64 shooter based on a classic version 3! Jetpac Wars Preview V3 - WIP 2 player C64 shooter based on a classic version 3! 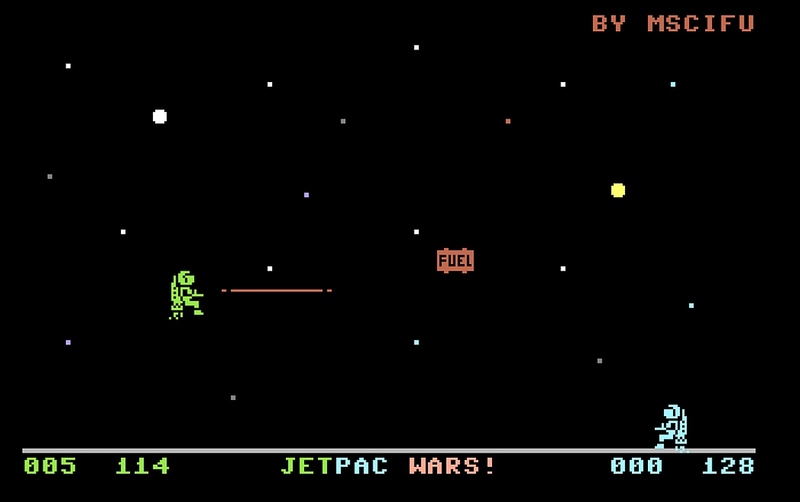 Once again developed by Mauro Cifuentes and trained by Genesis Project, Jetpac Wars Preview 3 has certainly come along way from the first version we played some time ago. In the first preview the UI info was on the right hand side now moved to the bottom, there's now fuel to be collected to keep yourself topped up, and unlike last time if you do shoot your opponent he does actually blow up and re-appear. So true it isn't the best advancement we've seen as a new preview update, but the developer did state this was started as an exercise of learning assembler language. 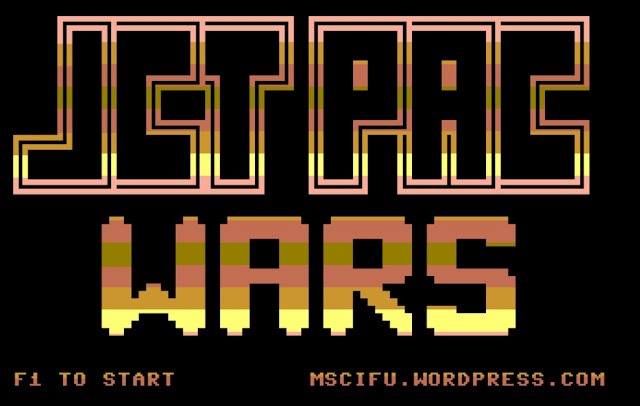 So I for one can't wait to see how far he goes with this fan game and if other dangerous obstacles will be added.